Well it would be something with your deps that you have installed, I would go back from the beginning of the tutorial and go step by step again, maybe best to reinstall the OS on your Raspberry to know you are starting from scratch, probably from the ppa, try doing just a: sudo apt-get install libdb4.8++-dev If you could maybe paste more of your make compile here it would be helpful in knowing what the actual error it is that you are getting as well. The staking tab only shows estimations and can be inaccurate. Before it would display all transactions that ever happened in your wallet, now it will only show transactions you still own/hold. It is still a bit buggy and we hope to get it fully fixed up by v2.6 you should still stake as usual though, coins must be aged a minimum of 8 hours. 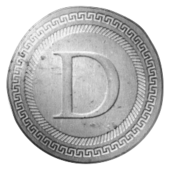 Vote for Ledger Support for Denarius on Trello!